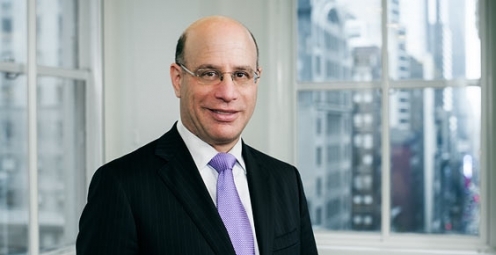 Phil Gross chairs the firm's Tax Department and advises clients on the taxation (federal, state, local and international) of hedge funds (including domestic funds, offshore funds, and funds-of-funds), private equity funds and real estate funds. Phil counsels clients on structuring (and restructuring) funds, structuring investment managers and general partners, compensating managers and employees, investing in funds and seeding management entities. He also advises clients on how to avoid being subject to ERISA and what to do if they are, how to plan and structure securities transactions, foreign investment in U.S. real estate, nonqualified deferred compensation, moving to Puerto Rico and numerous other tax issues. New York Super Lawyer 2014 to present. “Hedge Fund and Private Equity – Current Tax Developments”, Hot Issues in U.S. Taxation of Financial Products and Financial Institutions, Bloomberg BNA, co-speaker, November 20-21, 2014. "Hedge Funds - Tax Issues and Planning to Consider Before Year-End"
"How to Draft Key Hedge Fund Documents to Take New Partnership Rules Into Account"
"Tax Court Decision Upholding “Investor Control” Doctrine May Nullify Tax Benefits for Some Policyholders Investing in Hedge Funds through Private Placement Life Insurance"
"The Impact of Revenue Ruling 2014-18 on Compensation of Hedge Fund Managers and Employees"
"Tax Practitioners Discuss Taxation of Foreign Investments and Distressed Debt Investments at FRA/HFBOA Seminar (Part Three of Four)"
"Potential Tax Benefits of Private REITs for Hedge Funds and Private Equity Funds"
"Tax Issues in Structuring Your Hedge Fund"
"Tax Planning for Offshore Hedge Funds - the Potential Benefits of Investing in a PFIC"
"To Defer or Not to Defer"
"Tax Advantages of the Section 83(b) Election Can Be Significant"
So You Manage a Fund? Watch Out for the Excess Business Loss Rules! Treasury Postpones The Effective Date for Dividend Equivalent Withholding Regulations for One Year Until January 1, 2017!